On Thursday, October 18, 2018, the Board of Directors of the Old Town School of Folk Music voted to put its building at 909 W. Armitage -- the School’s historic home, where classes have been held for 50 years -- on the market. On Monday, October 22, the School issued a press release and shared it on Facebook and via email. It was the first time most students, faculty and staff heard about the sale. The press release said the Armitage building would be sold to “seed” an endowment fund, with classes to be terminated there once the building is sold in mid-2019. The announced plan was to move most of the Lincoln Park classes to the School’s two buildings in Lincoln Square. A group of students met in Lincoln Park and began organizing to fight the sale of the Armitage building. One long-time student started a petition on Change.org (“Save The Old Town School of Folk Music”) requesting answers and asking that the sale be delayed until it could be explained and the community engaged. The petition eventually collected over 7,000 signatures. You can still sign it! On Thursday, October 25, Bau Graves (OTSFM Executive Director) and Kish Khemani (Chairman of the Board of Directors) posted a letter to the community on the OTSFM website acknowledging the uproar and reiterating that the building was being offered for sale. A similar letter was sent to faculty and staff. On Monday, November 5, Save Old Town School sent a letter to the administration asking to meet and for an explanation of their decision-making. The next day, Graves agreed to set up a meeting, but it has not yet been scheduled. On Wednesday, November 7, at the start of a meeting for Old Town School faculty and staff to meet with members of the Board of Directors, Save Old Town School presented a printed copy of the change.org petition in a large binder. You may read the cover letter if you are interested. This is what a petition signed by 6,300 people looks like when printed out and placed in a binder! Save Old Town School representatives presented it to members of the Old Town School of Folk Music Board of Directors on Wednesday night, November 7th, along with our request that the proposed sale of 909 W. Armitage be put on hold until the School's community is given more information about the sale and has an opportunity to provide input. On Saturday, November 10, teachers, students and concerned members of the community held a rally at 909 W. Armitage protesting the sale of the building. Despite short notice, well over one hundred people showed up to wave signs, make speeches, and sing songs. See our blog for more details. On Thursday, November 15, non-faculty staff members were offered a “voluntary separation incentive” to leave their jobs this year in return for some weeks of pay based on years of service. The School’s letter warned that if not enough people would take the buyout offer, there could be layoffs. 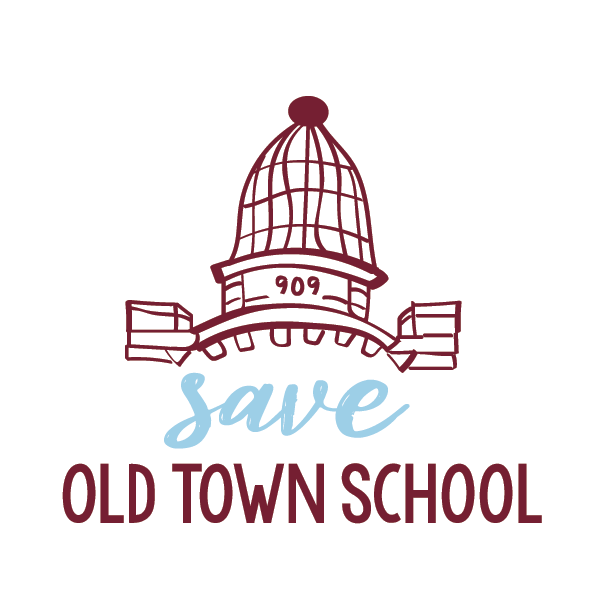 On Monday, November 19, Save Old Town School sent a follow-up letter to Graves and the Board, calling for an open meeting for the entire Old Town School community to discuss the School’s future. On Sunday, November 25, board chairman Kish Khemani informed faculty and staff via email that Bau Graves would be taking a leave of absence to focus on his health. The email further explained that Deputy Director Rashida Phillips would step into the role of Acting Executive Director effective Monday, November 26th, and that board member Jim Newcomb would be serving as a special advisor to the Administration on a day-to-day basis. On Thursday, November 29, at a meeting of the School’s board of directors, Save Old Town School appeared at the board’s invitation to present each board member with printed copies of 136 letters collected through the “Letters to the Board” campaign. On Monday, December 3, the School announced that the board of directors voted to “extend the discussion period” regarding the sale of 909 W. Armitage until March 31, 2019. It also announced that the store at 909 W. Armitage would be closed in January 2019. On Thursday, January 3, 2019, the School announced that Bau Graves was retiring due to health issues. On Friday, February 15, the School announced that Jim Newcomb had been appointed interim Chief Operating Officer. You can find links to news stories about all this on our “In The News” page.